Photo by Nicholas Gottlund, part of the exhibition Plain + Fancy, opening Sat 8/29, 6-10 PM, at Golden Age, 1744 W. 18th, 312-850-2574. Last week's Reader column about the ouster of a long-term member of the Saints—the group that provides volunteer ushers and other support for most of Chicago's nonprofit theaters—opened a revealing discussion of what some members say is repressive rule by a faction on the Saints board. The discussion, and the struggle over a beloved organization, is ongoing in comments still being posted. The next board meeting is Monday 9/14, 7:30 PM, at the Saints office in the Athenaeum Theatre, 2936 N. Southport. Members may attend if they make arrangements in advance with the board president. Reader contributor Jessica Hopper is on tour to promote her excellent instructive tome, The Girls' Guide to Rocking, and swings by the Hideout at 1 PM tomorrow. She'll be reading from the book and there will be performances by her tourmates, Fucked Up buddy Katie Stelmanis and sister act Ghost Bees, plus three locals: Glass Bricks, preteen R & B combo Fatal Attraction, and Girls Rock! Chicago camper band Circular Convention. I caught Hopper's recent reading at the Harold Washington Library and I have to say that a roomful of preteen girls getting amped about challenging the "pro gear, pro attitude" partriarchal paradigm is one of the most inspiring things I've seen in forever. "It is a region that has worked hard and sacrificed much over the decades, the city's blue collar underbelly, the engine that drove Chicago to its industrial peak, only to be abandoned and neglected when US industry began collapsing." Robert Powers, on his wonderful A Chicago Sojourn blog, has a gorgeous photo set from the industrial regions of Northwest Indiana. This shot of the BP refinery is mindblowing. This refinery shot is eerily beautiful; I took the train from Virginia to Chicago a lot during college, and was mesmerized by the industrial landscapes between West Virginia and Illinois. 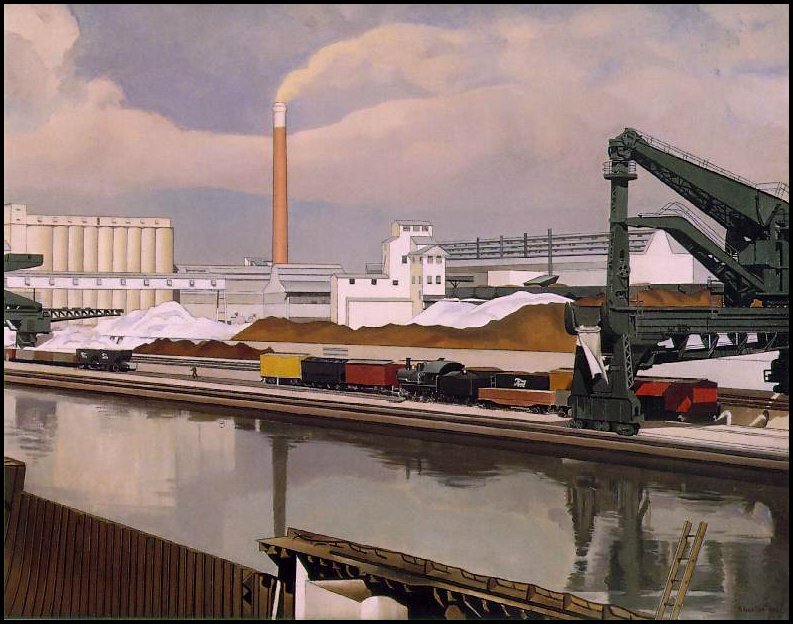 There's a reason Charles Sheeler's painting of the Ford River Rouge plant is my desktop wallpaper. More Sheeler. A few months ago I visited Argentina and Chile for about two weeks with my parents, where I ate approximately my own weight in food. I lived in Santiago for a little under two years starting in September 2004, and since I never got a work visa—it’s pretty easy to get paid under the table, and it never seemed worth it since I always thought I was going stay for just three more months—I went to Mendoza, Argentina, fairly often to renew my tourist visa. A couple friends and I would take the six- or seven-hour bus trip over the Andes, spend the weekend consuming obscene amounts of red meat, red wine, and ice cream, and roll back into Santiago early Monday morning with a steak hangover. 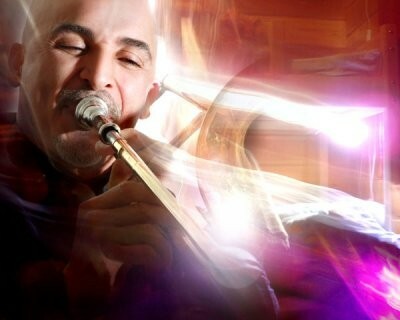 Killer New York trombonist Jimmy Bosch is in town this weekend to play as part of a tribute to Manny Oquendo’s Conjunto Libre on Saturday evening at the Viva! Chicago Latin Music Festival. Luckily, he’s sticking around to play a concert of his own music on Sunday night at Rumba. The Puerto Rican native has long been a fixture on the New York salsa scene, working with everyone from Celia Cruz to Willie Colon to Ruben Blades as well as leading his own remarkable bands, which play what he calls salsa dura ("hard salsa"). That means his music never veers into lightweight pop territory. This is uncut, hard-charging stuff. "I wonder whether the problems confronting newspapers and some alt weeklies is really traceable to the fact that there is simply a dwindling population of people who wish to be informed in any meaningful or useful way about much of anything that matters." 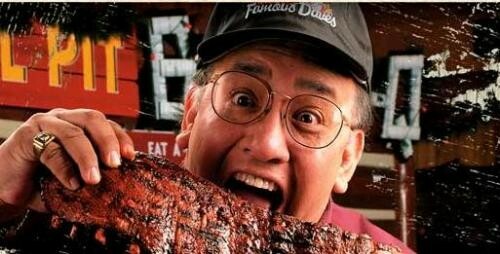 Taste of Romania, a corn celebration, clambake, and more.